The Company for Distribution and Film Performance “Genci” in Prishtina, Republic of Kosova, is the first Company in all Kosova territory. Company for Distribution and Film Performance “GENCI”, keeps the tradition of film showing and professional workshop organisation, offering the best European and world cinematographic values to its viewers. By these shows, the viewers will get to know the culture of these countries better. Presentation of Albanian, regional, European and world cinematography, not only helps the development of the seventh art, but also it helps the development of culture in Kosova. CDFP “Genci”, restarted the work after the war in Kosova, in October 1999 and ABC Cinemas, as the part of it, started screening the movies in May 2000. The first movies were the French movies, as main donation for the cinema and later on ABC Cinema has been established as the main cinema in Kosova. ABC Cinema has 215 seats. Genci Company, has survived all the challenges of these past years, including also the numerous illegal DVD’s, which have filled Kosovar market. It has become a part of the city of Prishtina and the most known object in all Kosova, where one could meet artists, actors, producers, directors and the students of arts. 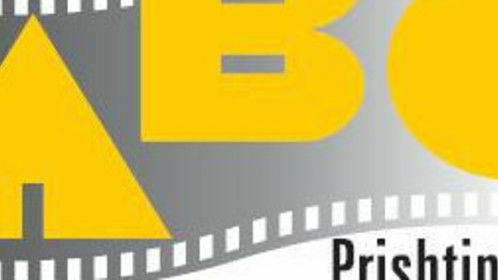 During these years in ABC Cinemas have been organized different events, including Film Weeks of different countries, such as British Film Week, French Film Week, German Film Week, Indian Film Week, Swiss Film Week, Turkish Film Week, Israeli Film Week, First International Film Festival, 12- Albanian Film Festival etc. Many of the producers, film directors, actors and other film workers from different European countries have been the guests in Prishtina as a part of exchanging experiences and as a part of organized workshops for young artist, filmmakers and students. Many of the producers (Pascal Judelewicz, Julien Auger Ottavi, Albert Hummer, Zoran Tasic, NIK POWELL etc), film directors (Jean-Pierre and Luc Dardenne, Greg Zlinski, Nicolas Bellanger, Gjergj Xhuvani,Özer Kızıltan, Pirro Milkani, Omer Vargi etc), actors from different European countries have been the guests in Prishtina as a part of exchanging experiences and as a part of organized workshops. This small hall, belongs to those who love film, who create it and live with it. It has open doors for all and especially for the young professional, those who will create a future of kosovar film.